It’s easy to take for granted the ease and prevalence of the digital album rollout. These days, all you really have to do is wait around on Twitter or Facebook long enough for someone to pop up and share a link to an advance stream of a heavily anticipated (or complete surprise) release hosted by NPR, Spotify, Apple Music, or Tidal. There was a time not too long ago, however, when the imminent arrival of a new hot record meant an expensive PR campaign replete with print ads, FM radio airplay, and appearances on TRL for chats with Carson Daly—chats that took place in front of a gigantic window overlooking fans who would then have to wait weeks to visit a store and interact with another human to purchase a physical copy of the record. Exhausting! 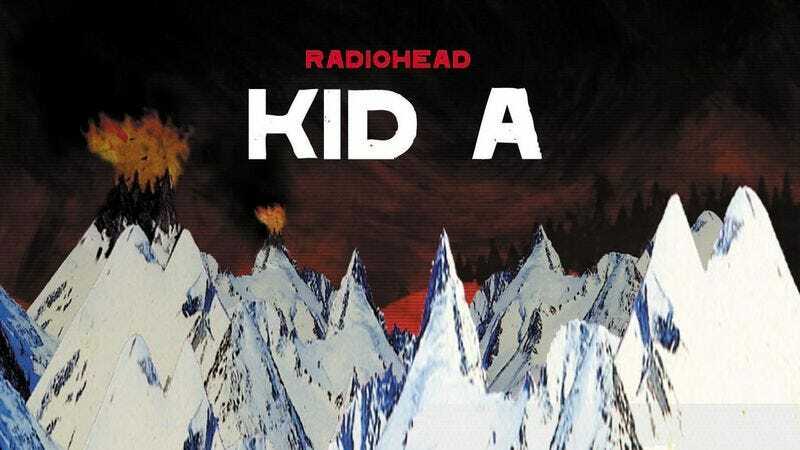 Believe it or not, the whole streaming advance got its start just a little over 15 years ago with Radiohead and its album Kid A. As Steven Hyden writes over at Grantland, in the year 2000, the bosses at Capitol Records were at a loss over how to promote the latest offering from one of their biggest acts. Radiohead’s members made it clear that they weren’t interested in granting too many interviews, and they turned in a work that didn’t seem to have any obvious hit to promote as a single. Enter Robin Sloan Bechtel, the label’s then-head of new media, who took the reins of the rollout and decided to throw it up online ahead of its release date using an embeddable player Capitol had designed called iBlip. “We put up the whole album three weeks before the street date—this was unheard of,” Bechtel says in the piece. “I don’t even think the label knew half the stuff we were doing.” Counter to Capitol’s expectations, the online pre-release stream fueled a massive buzz around the album and helped propel it to the #1 spot on the charts with over 207,000 copies sold when it finally dropped on the week of October 2, 2000. That’s after somewhere around 400,000 people had already listened to it on the label’s website. You can read the entire story at Grantland.